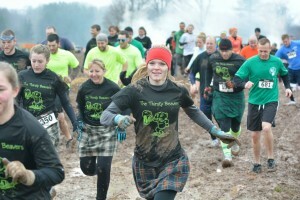 The third annual Daniel Barden Highland Mudfest will take place on Saturday April 25th 2015 at MKJ Farms in Deansboro, NY. The event features: a 5K mud run, a 1/2 mile kids adventure run, and an elite 5 mile mud run. Come be a part of the adventure and climb over the hills of Deansboro, located approximately 15 miles south of Utica. There is an adventure for everyone. Come share the experience with us! The Daniel Barden Highland Mudfest is organized and run entirely by volunteers. Proceeds benefit charities including the Sandy Hook Promise.